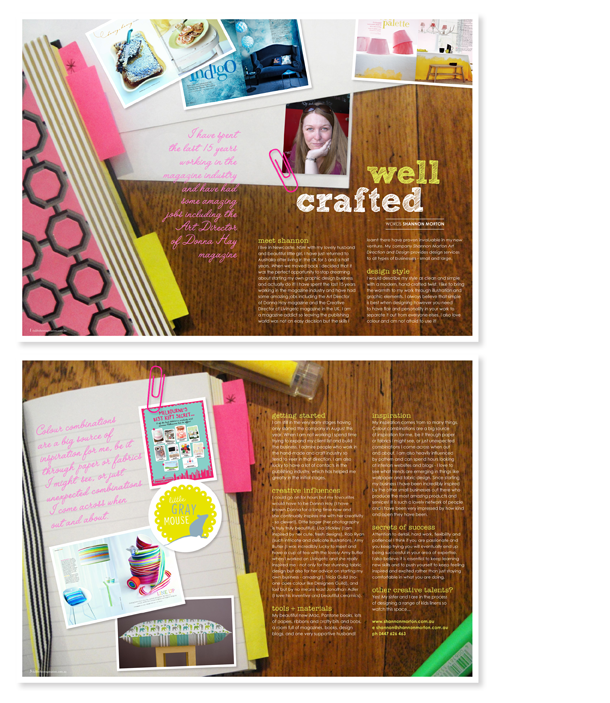 oh how very lovely: shannon morton art direction & design in the press! shannon morton art direction & design in the press! I am delighted to have been featured in an article for the Summer issue of Tickle the Imagination magazine. You really must check out this gorgeous online magazine. It is brimming with ideas and inspiring people from the hand-made and creative community. Absolutely beautiful! Copyright Shannon Morton. Powered by Blogger.